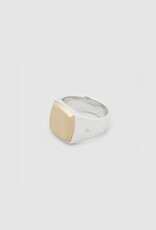 The top plate of this ring is made in 9k gold with satin finish, cut like a stone with straight lines and a graphic edge. 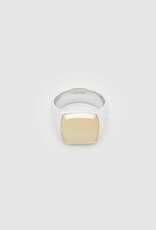 The material combination of solid 925 sterling silver and gold make the ring look interesting and different. 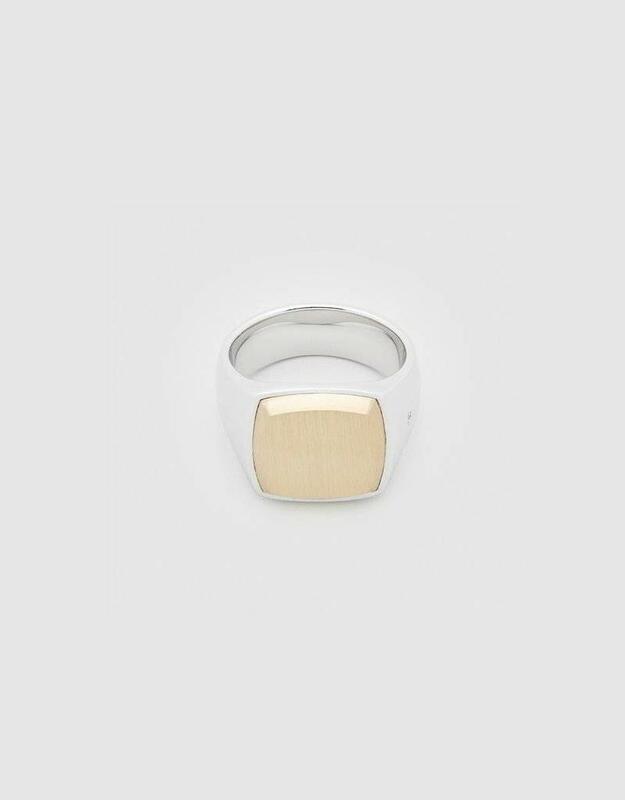 It's perfect to match with other jewellery, both silver and gold. Tom Wood signets are made out of solid silver and gold, enabling you to engrave the ring with your own hidden message inside the ring. For rings with gold or silvertop you should only engrave the inside. 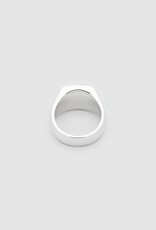 The top plate comes in two different sizes, a large one for men (16.5 x 16.5 mm) and a smaller one for women (15 x 15 mm). 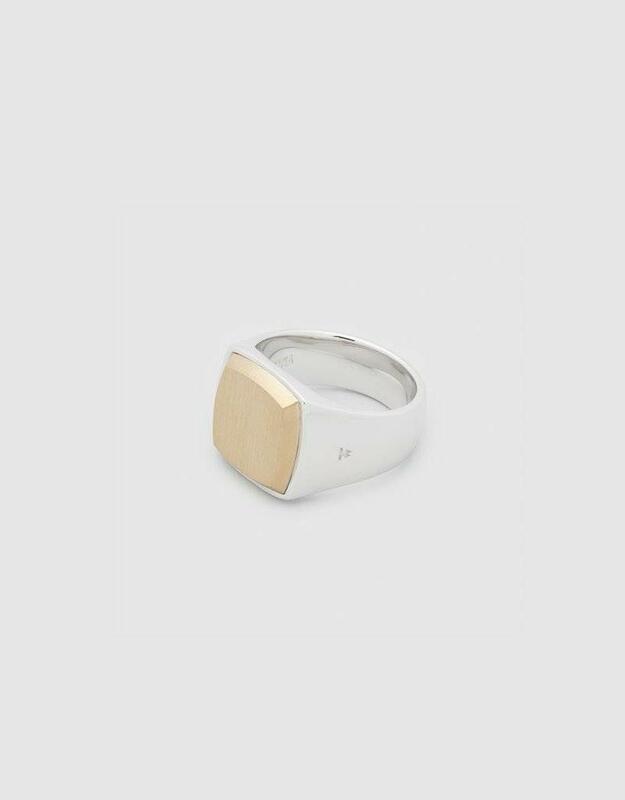 The signet rings are available in the traditional ring size of 48-56 (women) and 58-66 (men).